Former mining executives Ian Grljusich and Lloyd McAuley have traded long careers in the mining industry, including many years spent working in remote locations, for new business ventures in WA’s hospitality industry. GM Ian Grljusich and Brett Nazari. 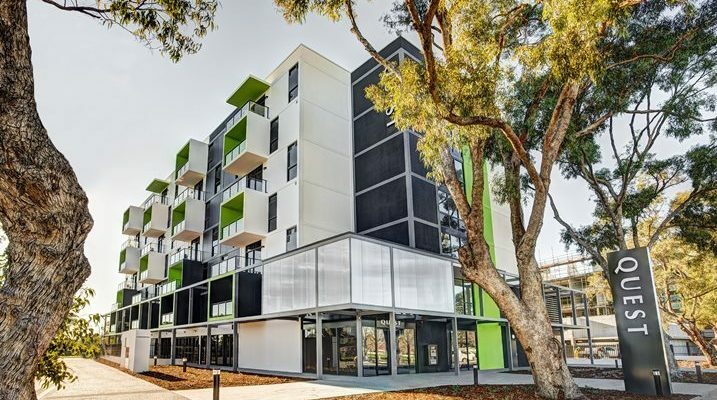 The mining engineers are now operating two of the recently built Quest Apartment Hotel franchises in Perth. Mr McAuley is the operator of Quest West Perth in January and Mr Grljusich and his business partner are running Quest Rockingham in September. Quest Rockingham serviced apartments offer guests a relaxed and comfortable accommodation experience Opened in August 2015, the brand new seven storeys Quest Rockingham at 22 Flinders Lane features 96 fully self-contained studio and one and two bedroom apartments all superbly finished to the latest standards. Quest Rockingham is your premier destination for business and leisure travel in the 60km coastal strip from Fremantle to Mandurah.